It is a small edible fruit that is yellow colored when ripe, but is most often used when it is green for salsas and preserves. The cultivation of tomatillo represents a large part of the economy and Maya Azteca. The tomatillo is the fruit of a plant grown mainly in Mexico and Guatemala and, marginally, in Australia and in South Africa. The main producing areas are the states of Morelos and Hildago, in Mexico, where its cultivation covers an area of ​​13,000 hectares with a production of about 10,000 tons. 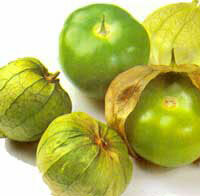 Strangely, outside of Mexico, the plant of the tomatillo is almost unknown. It belongs to the nightshade family such as tomatoes and tomato is also called Mexican. Sometimes the berry growing inside its calyx get to break it when it reaches maturity. The tomatillo is very original: it is a small green "tomato" enclosed by a paper wrapper.The tomatilo is a good source of potassium and vitamin C, it contains phosphorus and magnesium also. In Mexico it is used mainly to prepare a sauce, the famous mole verde. 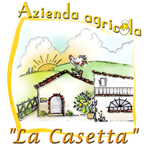 It is excellent with chicken, pork or beef. The tomatillo is NOT hot, spicy. The tomatillo cooked can be preserved in bottles such as tomatoes. 10 tomatillo seeds in a vacuum bag.